I never thought that I can now able to go skiing during winter time. Just this winter we didn’t have time but the other years we did. Funny but really interesting to learn new activities in life and by this coming spring I am planning to buy adult scooter. This will be a new challenge for me to learn more on this. I tried this once in awhile but not totally serious. But now that I am working already having scooter would be surely great. I can use this when going to work, since my workplace is just 15 minutes away from home. Here in Norway, scooter is very popular during summer season. Kids and adults use scooters for fun or for personal use or use for those who works in warehouse or in hospitals. 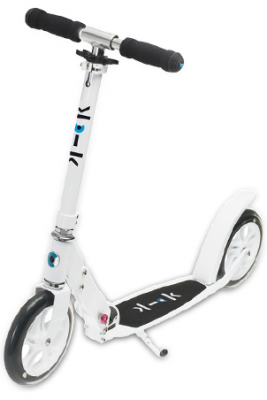 They can use it instead of going, by the use of scooter they can easily reach from one place to another faster than ever. Like me, I am planning this to use when going to work. That could be a good training too. So since I have this goal to have my own scooter, the next thing is to find a place where to buy easily. I can actually buy this in sports center here but a friend of mine who lives in USA recommended to check at Kickboard USA. This is where affordable scooters for kids and adults available at once. This is actually perfect for me because I usually ordered different stuffs from USA so thankful for the recommendation. So by my friend’s recommendation I came to the point of choosing this scooter from their display online. I love the color and the price is so affordable. I am looking forward to have one, I cannot wait. So from skiing during winter, then scooting during summer. Perfect! This entry was posted on 4:30 PM You can follow any responses to this entry through the RSS 2.0 feed. You can leave a response, or trackback from your own site.